If you happened to catch the big news a couple of weeks ago, you know we’re in the middle of a pretty exciting move! We officially said goodbye to our great little apartment in San Francisco nearly two weeks ago and have been settling into our new home here in Bend. Granted, we’re still sleeping on an air mattress, eating frozen pizza off of biodegradable dishware and assembling furniture without instructions but we have the essentials: wifi, coffee, heat and hot water. Oh and we also have zoats. 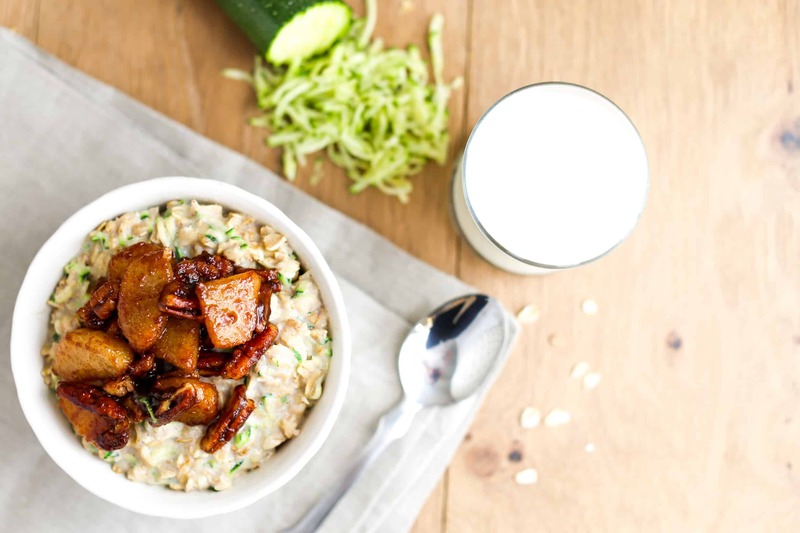 If you’ve not yet heard of zoats, let me introduce you to the hottest breakfast duo in town: shredded zucchini and oatmeal. They’re like the Brangelina of breakfast — only better because they’re actually gonna be married forever. At least in my oatmeal bowl. 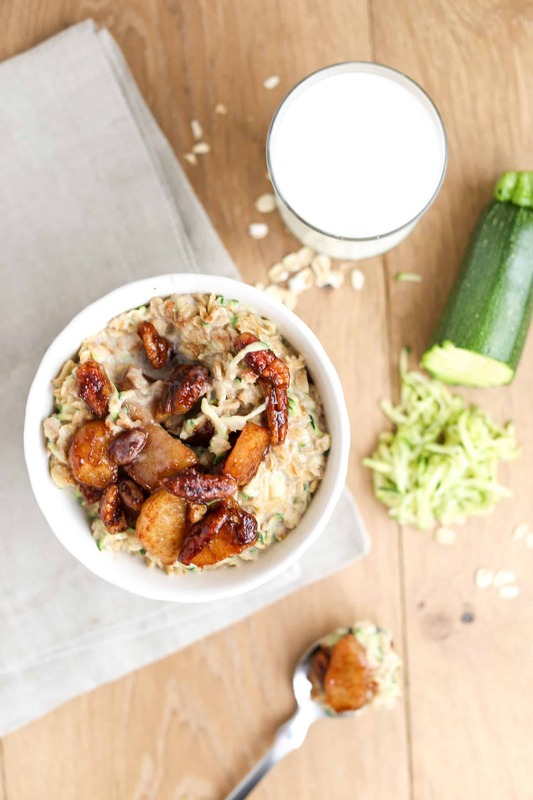 Zucchini oatmeal sounds weird, right? I thought so too. 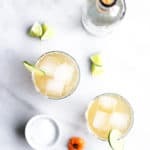 But this creation, whoever first came up with it, might be as life changing as mashing avocado on toast or adding kale to a smoothie — neither of which I can imagine life without now. 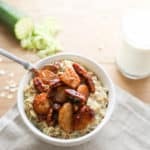 One serving of these warm, fall-flavored caramelized pear and pecan zoats provides a whopping 17 grams of high-quality protein and 11 filling grams of fiber — a satisfying way to start your day. 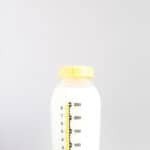 Besides protein, milk also provides 8 other essential nutrients like calcium and potassium which help with everything from muscle contractions to bone health. Don’t let the look of these zoats fool you either. They’re as simple and quick as they are delicious which means you still have time for a nutritious breakfast on busy mornings! I whipped these up in 10 minutes with a simple hand grater, a small saucepan and a skillet. I even peeled the pears with a biodegradable knife — because that’s all we’ve got around here. One silver spoon, one ceramic bowl, one glass (you’re lookin’ at ’em) and a whole lot of disposable dishware. I wouldn’t have expected it but these zoats are also great reheated, which means those of you who choose to snooze can still start your day off with a nutritious breakfast. Simply cook up a batch the night before, pop them in the microwave with an extra splash of milk for a minute or two in the morning and you’ll have a delicious, hearty breakfast that’ll keep you feeling full and focused until lunchtime. 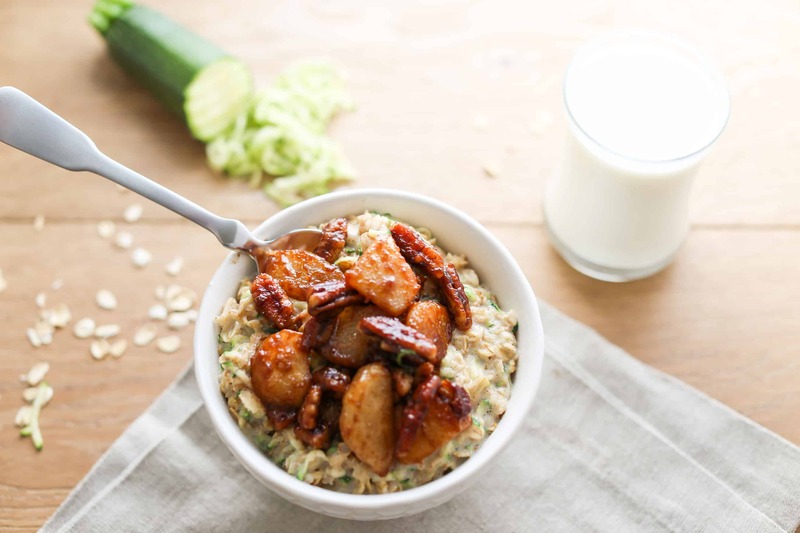 Needless to say, reheated caramelized pear and pecan zoats have been our everything this week. 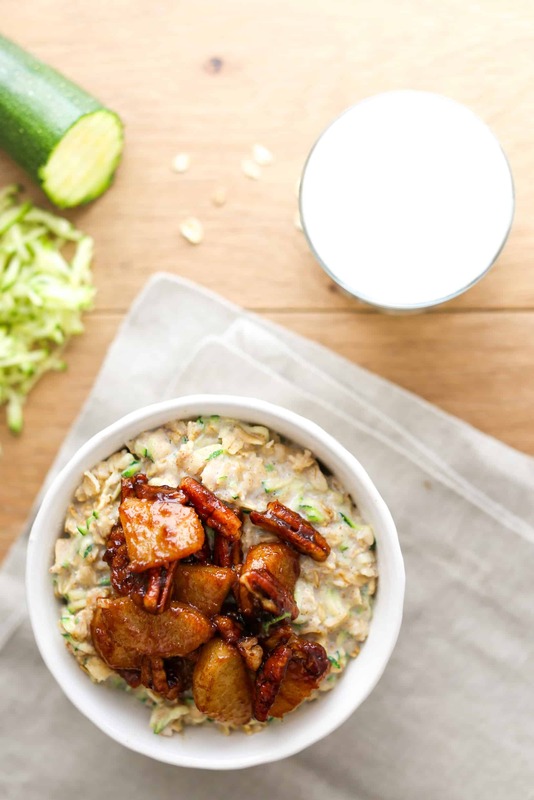 The warm, fall flavors of this breakfast are the perfect complement the beautiful foliage and cool morning temperatures here in Bend — which is why our bowls and spoons will be the first items to be unboxed. Absolutely delicious recipe, I did change some ingredients to what I had to hand; so an apple instead of the pear and coconut sugar instead of brown; I made them post workout and it took exactly 20minutes, and more like 20 seconds to eat..whoops. I’ll definitely try rehydrating them too. 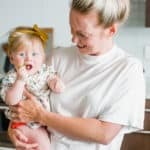 pÄ“rkons saka:MÄ“s neesam vienÄ«gie, kas novÄ“rtÄ“ viÅ†u. ArÄ« valdoÅ¡Ä kliÄ·e zina cik iespaidÄ«gs un godpilns ir Å¡is runasvÄ«rs. Nevelti uzbrukuÅ¡i viÅ†am. Uz viÅ†u skatuves viÅ†am vietas nav. Uz Å¡Ä« reÅ¾Ä«ma skatuves atrodas vieta tikai iemÄizinÄtdjiem BÄ“rziÅ†iem un Dombrovskiem un demagogiem Mamikiniem un UrbanoviÄiem. Sounds yummy! Can’t wait to try the zoats thing ! Life sounds good in Bend.